'Science is under attack. The dark forces of anti-intellectualism have taken power, and one by one, various federal research agencies are being silenced, banned from discussing their research online in any capacity. Although their Twitter accounts are still active, references to climate change and environmentalism have been purged. 'Fortunately, the resistance has clearly begun. Academics and researchers, both from government organizations and elsewhere, have taken to Twitter to set up unofficial accounts in support of the censored agencies. As they aren’t technically linked to the federal groups themselves, there’s nothing the Trump administration can do but to watch them grow in prominence. 'The latest comes in the form of @RogueNASA, an offshoot of the original spacefaring organization. Describing itself as “The unofficial ‘Resistance’ team of NASA”, the account is a rallying cry for science and reason, particularly when it comes to both climate change mitigation and the environment.' (IFL Science article). 'John Anthony West (born July 9, 1932 in New York City) is an American author, lecturer, guide and a proponent of Sphinx water erosion hypothesis in geology. John Anthony West is today the leading authority and proponent of the 'Symbolist' school of Egyptology, an alternative interpretation of ancient Egyptian culture advanced by the French scholar and philosopher, R. A. Schwaller de Lubicz. In the Symbolist view, Egyptian architecture and art disclose a richer and more universal wisdom than conventional Egyptology has assumed. 'Filmed in New York, December 2016, a month before John was diagnosed with cancer. Please show your support for this great man and for his work by making a donation to his crowdfunding campaign.' (The John Anthony West Project website). Douglas Rushkoff is an American media theorist, writer, columnist, lecturer and philosopher. 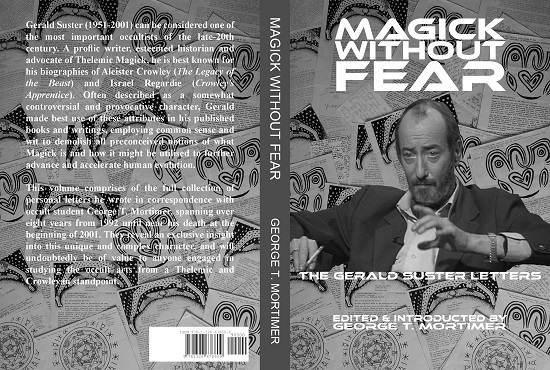 He has authored works such as Present Shock, Throwing Rocks At The Google Bus and his latest, Aleister And Adolf, a graphic novel exploring the occult warfare that existed between Hitler's Nazi Germany and Aleister Crowley's esoteric Britain during the Second World War. Also joining in on the discussion is Michael Garfield - a multidisciplinary visionary artist and musician. (Third Eye Drops podcast). Wee Ginger Dug: "Don’t Wait For Permission - Scotland's Future Is In Our Hands"
'There’s no desire for another independence referendum, or so we keep being told. Scotland is perfectly content to be led down paths its people haven’t chosen. We’re happy to get the opposite to what we voted for. We don’t mind that during the independence referendum we were offered a choice between door A behind which was independence or door B behind which was safer faster better change, job security, EU membership, the guarantee that the NHS was safe, and a promise that Scotland would be an equal partner in a family of nations. So Scotland chose door B and discovered that what was behind it was sclerosis, job losses, leaving the EU, and an NHS that the Scottish Government can only protect by making cuts in other spending - a strategy that can’t continue indefinitely. And we discovered the promise that Scotland was an equal partner was just a blatantly cynical lie. Yet if we complain about this the Unionist parties tell us that we chose door B, that’s democracy, respect the result. 'But we do mind. We do care. If politicians lie they need to be held to account. If you’re sold a product that doesn’t do what the seller told you it would you can take it back to the shop and get your money back. We don’t get any redress from the Union.' (The National article). 'A SpaceX rocket flew up, placed a set of satellites in orbit, and dropped back down onto a landing pad in a huge success for the company. 'The successful launch was extra-important because it came four months after a similar rocket went up in a huge fireball, sparking an investigation and potentially derailing Elon Musk's private space company's plans. 'The two-stage rocket lifted off from Vandenberg Air Force Base at 9:54 a.m. carrying a payload for Iridium Communications Inc., which is replacing its entire global network with 70 next-generation satellites. 'The satellites were deployed about an hour after launch. 'About nine minutes after the rocket blasted off, to cheers from the control room, its jettisoned first stage landed upright on a so-called droneship in the Pacific Ocean south of Vandenberg - part of SpaceX's effort to make boosters reusable. 'SpaceX has succeeded six times previously with landings on a barge or ashore. 'A camera aboard the first stage gave viewers a you-are-there experience as it returned to Earth, flared landing rockets and made a perfect upright touchdown on the floating pad.' (Independent article). Panel discussion that brings together two well informed, open-minded perspectives in the ongoing search for answers to the nature of Consciousness, mulling over the evidence supporting a fairly new perspective in science: the notion that this thing we call "Reality" may in fact be a digital simulation. Leading the discussion is physicist Tom Campbell and engineer Jim Elvidge. 'Jim Elvidge is an expert in complex computational systems, holds a Masters Degree in Electrical Engineering from Cornell University, a patent holder, and author of The Universe - Solved! With over 20 years of research in cosmology, quantum mechanics, philosophy, artificial intelligence, nanotechnology and the paranormal under his belt, Jim has kept pace with the latest theories and discoveries on the cutting edge of scientific understanding. It’s from this breadth of knowledge which he draws in order to present a theory of reality so perfect, so powerful that it explains all known scientific and cultural anomalies - presenting a body of strong evidence which he believes shows that consciousness is the source of Reality itself, rather than simply an artifact of brain function - and that the evidence points toward an apparent "programmed nature of reality" which is based on a self-evolving system. With the occasional hilarious story of his time working on the Redstone, Atlas and Apollo programs, this is a highly informative and entertaining interview with rocket engineer George Knudsen. 'George Knudsen started working in 1958 on the Redstone missile and moved on to working on the Atlas ICBM. Later he worked on the Saturn 5 launch vehicle, where he was responsible for the fuel tanks. He was on the launch team at Cape Canaveral for various Apollo missions. In this episode George talks about his work in this fascinating period of science and engineering history.' (Omega Tau podcast). 'Media theorist and documentarian Douglas Rushkoff weaves a mind-bending tale of iconography and mysticism against the backdrop of a battle-torn Europe. 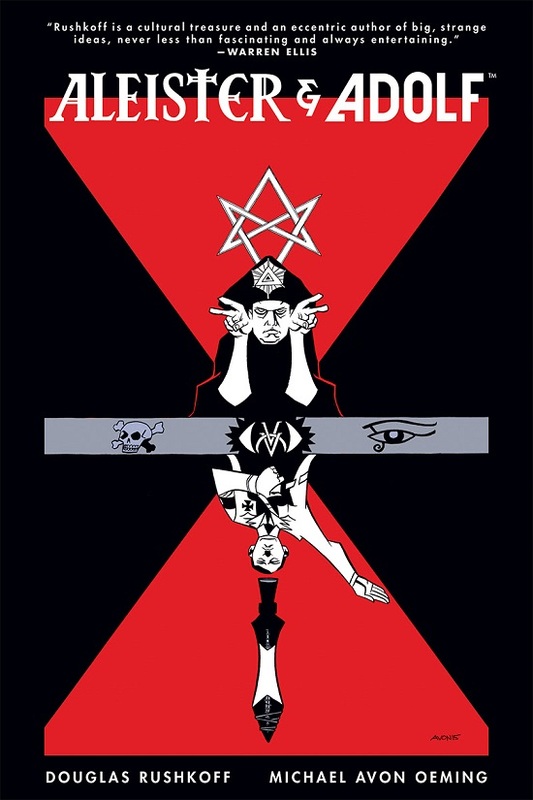 'In a story spanning generations and featuring some of the most notable and notorious idealists of the 20th century, legendary occultist Aleister Crowley develops a powerful and dangerous new weapon to defend the world against Adolf Hitler's own war machine spawning an unconventional new form of warfare that is fought not with steel, but with symbols and ideas. 'Cory Allen is a meditation teacher, composer, mastering engineer, and podcast host from Austin, TX. In this episode, Cory talks about consensus reality being an illusion and finding liberation from our monkey-mind mechanisms through objective thinking. (Astral Hustle podcast). 'The sea ice in the Arctic and Antarctic regions of the earth is an especially sensitive indicator of the earth’s climate, and in particular, the current overall atmospheric temperature of the planet. It was recently reported to have reached a new low. Our guest, NASA’s Walt Meier explains why this is the case and which processes govern the increase or decrease of the ice. We then discuss how the ice mass is measured based on satellite and how its thickness is estimated based mostly on in-situ measurements. We cover climate modelling and its connection to sea ice and conclude with an outlook on future research.' (Omega Tau podcast). 'Former RT journalist Abby Martin has blasted the US intelligence agencies’ ODNI report along with the New York Times for publishing “egregious lies” about her and RT. 'Speaking to RT on Monday, Martin addressed accusations that her work for RT was part of a Kremlin propaganda effort and explained how the NYT falsely reported on her resignation. '“The New York Times is no stranger to false narratives,” Martin said, adding that the media outlet “latched on” to the ODNI report, despite admitting it contained no evidence. “The so-called paper of record,” Martin explained, “hadn’t even bothered to reach out” to her before publishing the story. 'In reality, Martin voiced her views over Russia’s involvement in Crimea during an episode of Breaking The Set. While her statements garnered global press coverage, Martin remained working for RT for a full year after her statements, continuing to voice her opinions and disagreements with Russia’s actions in Ukraine and in relation to the downing of Flight MH-17.' (RT article). 'There is a view held by some commentators that it is “only a matter of time” before Scotland obtains independence and so we should wait it out for more favourable conditions to manifest. 'Implicit in this argument is that the devolution process started a one-way train towards independence and there is nothing that can be done to stop it, regardless of political developments in the meantime. 'Resting on the idea of a permanent SNP juggernaut or, more broadly, a pro-independence majority being present at Holyrood, may be comforting for some. However, this is based on the erroneous assumption that the status quo will continue to prevail. Political developments often surprise even the most astute political commentators. 'The only reason people can argue indyref2 is only a matter of time is because the SNP dominance is assumed to be in a fixed position come what may. If we remove this assumption, holding to the “only a matter of time” argument becomes considerably more difficult. 'In just over the last year or so, the list of political events that were near impossible to accurately predict include: the Corbyn victory, the Sanders surge, the SNP landslide at the last UK elections, and the victory for Leave in the EU referendum. 'On the specific question of the SNP, the last Scottish election showed how much voting patterns are consolidating around the constitutional question. Although we shouldn’t read too much into a by-election with a meagre 20 per cent turnout, Tory transfers in the recent North Ayrshire Council by-election helped Labour scrape over the line. Whatever the exact cause, the impact of increased Tory representation reflects a rejuvenated right and, unfortunately, it is not a guarantee that their vote share won’t grow. It wasn’t so long ago that the Tories were thought “dead” in Scotland. 'The debate around tactical voting seems likely to sharpen at the next Scottish election and not in a way that benefits advocates of independence. Aside from anything else, the last result helped to make the Tories seem like a legitimate alternative to a struggling Labour Party - Ruth Davidson’s party is no longer isolated after years in the wilderness. 'Furthermore, the political landscape in the UK could change sufficiently in such a way that could make blocking a second independence referendum more likely. For example, if the Corbyn/PLP dynamic ends badly, the prospect of an increased Tory majority is not so farfetched. In this political climate, it is entirely possible that attitudes in England towards granting a second independence referendum could harden.' (Bella Caledonia article & Scottish Independence podcast). 'What may have started as a science fiction speculation - that perhaps the universe as we know it is a computer simulation - has become a serious line of theoretical and experimental investigation among physicists, astrophysicists, and philosophers. Note: It's amusing to watch scientists try and grapple with the simulation hypothesis. Consciousness rarely comes into their argument and they never question their assumption that there is an external reality in the first place (simulated or otherwise). A computational universe does not require the whole to be simulated continuously, but rather it is only the observed parts that need to be simulated. For example: if I look at a tree, the simulation of what is going on inside the tree is not required, until I chop down the tree and observe what's inside the tree. Then that part of the tree can be simulated for the consciousness observing it. Equally, if I don't observe the cells within the tree, then it doesn't need to be simulated until I pick up a microscope and see what is happening at the cellular level. In short, the computational nature of the universe does not need to be infinitely complex, it only needs to be as complex as the scope of what is being observed. Think 'procedurally generated universe' like the game No Man's Sky. 'As we go about our daily lives, we tend to assume that our perceptions - sights, sounds, textures, tastes - are an accurate portrayal of the real world. Sure, when we stop and think about it - or when we find ourselves fooled by a perceptual illusion - we realize with a jolt that what we perceive is never the world directly, but rather our brain’s best guess at what that world is like, a kind of internal simulation of an external reality. Still, we bank on the fact that our simulation is a reasonably decent one. If it wasn’t, wouldn’t evolution have weeded us out by now? The true reality might be forever beyond our reach, but surely our senses give us at least an inkling of what it’s really like. 'Not so, says Donald D. Hoffman, a professor of cognitive science at the University of California, Irvine. Hoffman has spent the past three decades studying perception, artificial intelligence, evolutionary game theory and the brain, and his conclusion is a dramatic one: The world presented to us by our perceptions is nothing like reality. What’s more, he says, we have evolution itself to thank for this magnificent illusion, as it maximizes evolutionary fitness by driving truth to extinction.' (The Atlantic article). 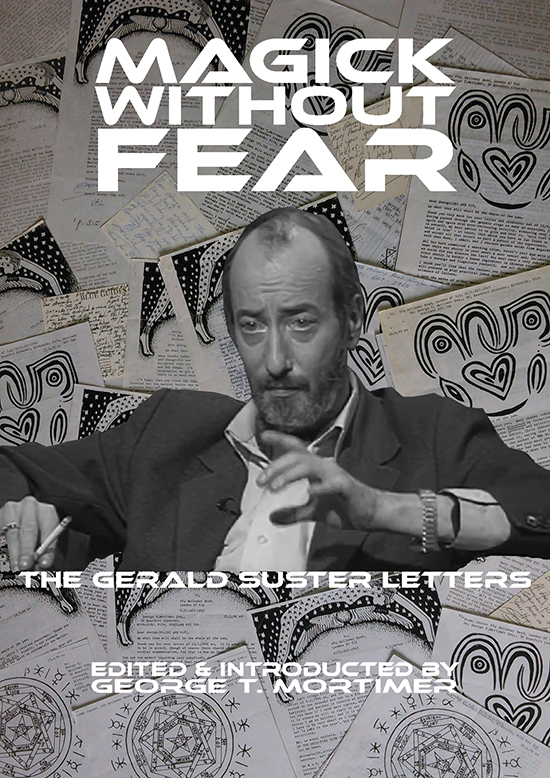 Continue reading "From The Archives: Gerald Suster (1951-2001) - A Remembrance"